I think this book holds the current record for the longest title of a book that I’ve reviewed this year thus far. But for a book about directing the creation of images on a page, I guess word economy is not one of the strengths of these authors. Of course, I’m only joking. Actually, this book is awesome, and the word economy on the pages, like Goldilocks’ porridge is juuuuuust right. 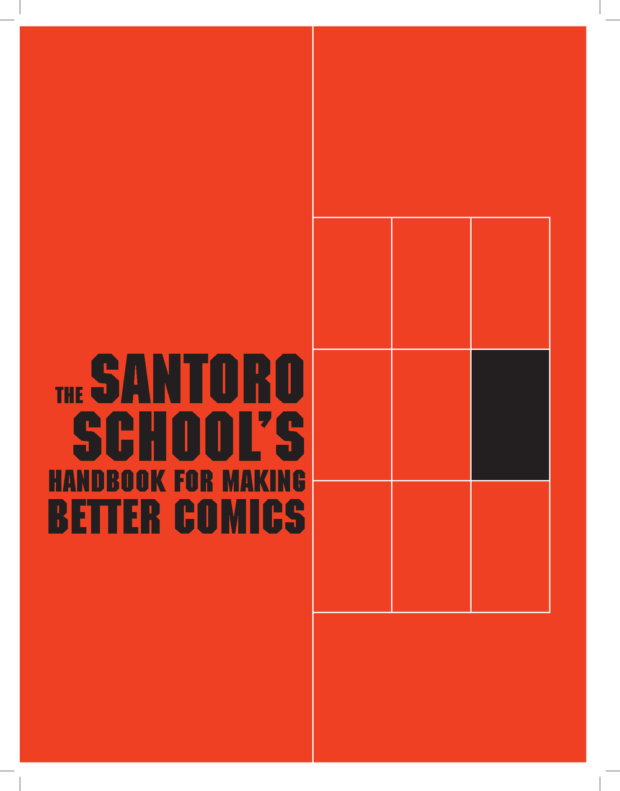 This book is for those of you looking to get serious about making or discussing comics with your students. 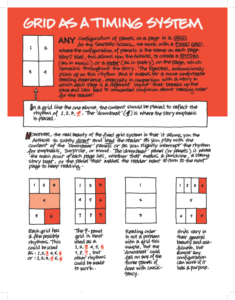 It’s a short (about 12 pages), large-paged, indie-press book that offers a crash course in comic book/graphic novel page layout, speaking a good deal to the geometry of art of a page. While a quick read, I can see myself discussing a few aspects of this book with my graphic novel class and using it as I create my own graphic novel. The larger pages allow for more information to be presented in each spread, but I wish there was more. If you are going to dig this book, you are going to want more from it because while the 12 pages are FILLED with information, it is only 12 pages, and those pages are so well done, that I want more. These guys know their craft, so I want them to teach me more, especially since I paid $25.00 for the book! That’s whatever though. I love supporting independent books; I’m just annoyed I wasn’t taught more to bring back to my own craft and to my students as they begin to script their own comics pages. 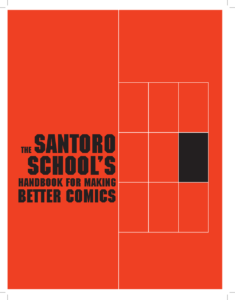 Like I said, this book is for those of you looking to take teaching or creating comics seriously. If that’s you, grab a copy. You can email santoroschool@gmail.com for more info. I hope you dig it as much as I did…now I have to make my own version of this book for the high school peeps.